Translated fact sheets on a variety of dementia topics are available in 43 languages. The same information is not available in all languages. 'Information on Dementia in Vietnamese' is a multimedia resource which can be used on a computer or tablet. It was produced by Royal District Nursing Service (RDNS). This booklet emphasises the importance of relationships with family and friends for people living with dementia. It is available in Cantonese, Mandarin, Italian, Greek, Turkish, Vietnamese ,Spanish and English. 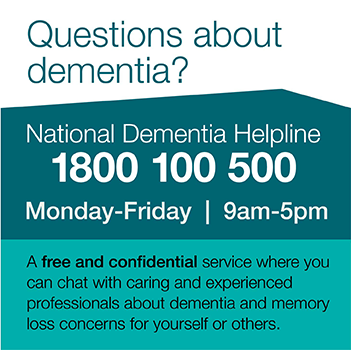 A National Radio Dementia Awareness Program in Community Languages. The AMF, in collaboration with SBS radio, developed the campaign to address some of the key issues and barriers to increasing the level of dementia literacy in culturally and linguistically diverse communities. Podcasts, written translations and reference guides are available in Amharic (also known as Ethiopian), Arabic, Hindi and Turkish. The AMF in collaboration with SBS radio developed the health campaign to promote awareness of dementia in the following community language groups: African, (English), Amharic, Dari, Persian-Farsi, Somali, Sudanese (Arabic), and Burmese. Spanish, Arabic, Italian, Serbian, Ukrainian, Cambodian, Croatian, Assyrian, Vietnamese, Portuguese, Mandarin. A model of delivering health messages to newly arrived communities: An example, increasing dementia awareness through ethnic radio for newly arrived communities. The site contains a database of research in ageing. Dementia is one of the topics.